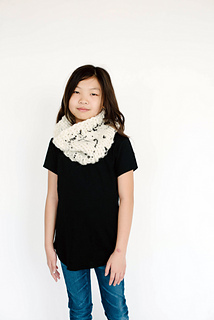 This simple cowl with ribbed edging is easy to throw on with just about anything. 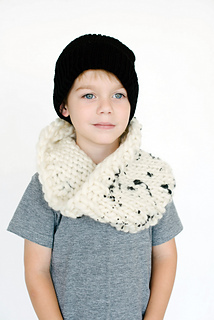 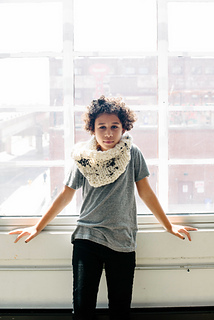 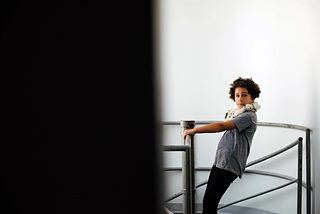 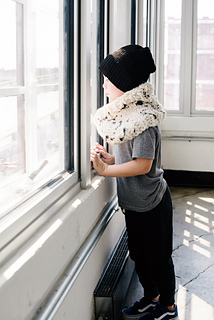 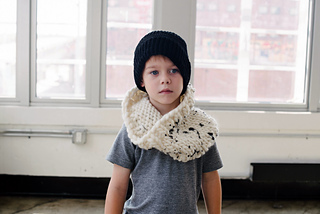 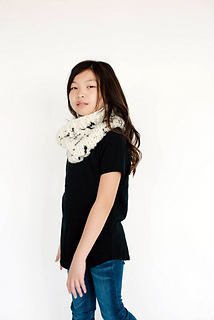 Eden is a super quick knit that every kid will love. 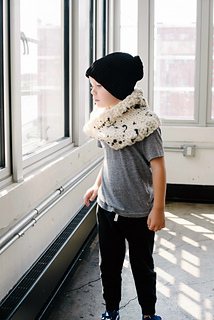 The cowl shown here was splattered with black fabric paint. 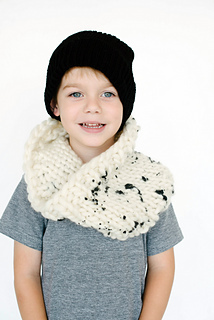 See ‘Dye, Bleach and Paint Techniques’ section at the end of this pattern.